Is a flip flopper always a bad thing? 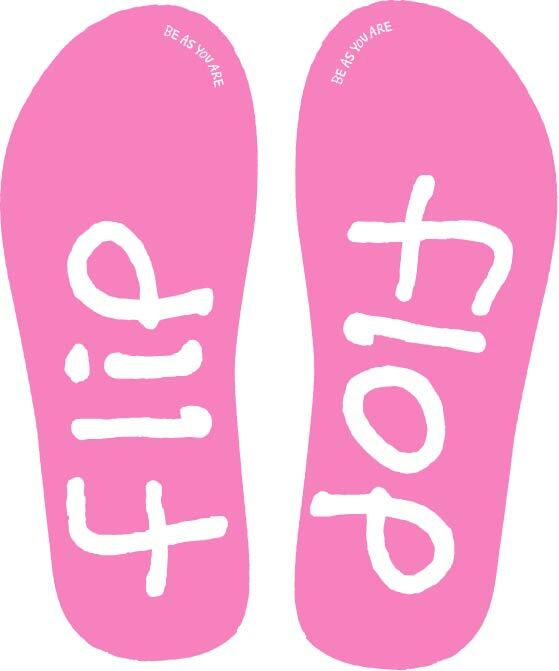 I remember when I first heard the term “flip flopper.” My neighbor kept calling someone she did not like a flip flopper then would burst out in laughter. However, I thought sometimes changing one’s mind is a good thing. Especially if after a vote you learned some facts or encountered unexpected effects of the vote. This issue entered my mind again when I was listening to Virginia Delegate Glen Oder talk about which vote he most regretted: the one allowing for payday and car title loans. After he saw the effects it had on families and military in our area, he made it a mission to try to correct it. Many will remember him traveling around with “Sharky,” a stuffed shark with car license plates hanging around its neck. With that statement, he won my respect. It is not easy to admit publicly that you made a mistake or that you would alter a previously supported opinion. We all have things in our lives we would like to re-do especially after we have the advantage of seeing the effects of that choice. Recently at a forum, I heard Virginia Senator John Miller explain his logic for voting for a bill last year. This bill allowed people to take payday loans out when they reside in a state where payday loans are illegal. After the explanation, the moderator asked Senator Miller if he would vote on the bill the same way again. His answer was no; after reflecting on that vote, he would now vote the other way. Quite so. Even after seeing what a disaster Romneycare has been in Massachusetts, Romney will not repudiate it. The only ones who don’t make mistakes are those that don”t do anything. If you are making an assessment of past decisions and how changing facts and circumstances would lead you to a different decision today, that is not flip-flopping. If on the other hand, your position on issues changes based on the audience or based on admonition, that is flip-flopping. If for example, you suddenly change your position on reproductive rights in order to garner favor with certain crowd, that is flip-flopping. It is being solicitous for the purpose of personal gain, generally driven by coveting power. Or as in Warren’s example, when you have to come up with a tortured explanation as to why your healthcare law the mirrors the federal one was good while the federal one was bad, that would be deserving of the derision that comes with the term flip-flopper. Well, I do not know whether you mean me or Mrs. Warren, but I will respond anyway. First, it is Obamacare that mirrors Romneycare, not the other way around. I suspect that was just a typo on your part, but I wanted to clarify that point. Certainly, Romney should have repudiated Romneycare. But having decided not to do so, to appeal to the base, he must have resorted to a federalism argument. That argument is that the federal government is a creation of the States. As such, the federal government only has the powers given to it by the States through the Constitution. Thus, there are things that the federal government is not allowed to do that the States can. Well I dislike the term flip flopping as a term and it seems all the ones mentioned above get lumped all together into one term. I have no problem with a change of opinion on either facts or just because you decided you voted wrong for what ever reason. What you described about changing what you say depending on what audience you speak to is not,in my opinion , flip-flopping either because it deserves a much harsher word. Your terms “being solicitous for the purpose of personal gain” or “generally driven by coveting power” are much better descriptors of what you are talking about. I am just glad in the computer age it is much easier to catch politicians doing this and that blogs and online stories bring these actions into the light.